Our weekend art project we did with the kids. Their feet print as ghosts and hand prints as spiders. Our Frankenstein door.. Wish the door was actually green though. Thank you and Thank you for visiting/following. hi There.. love your decor. We are seriously lacking some. Thanks for dropping by nissaMade and commenting so kindly! I am following you too. Thank you very much for coming over. Glad to have you here! I'm a new followers and love all your ideas. OMG! The frankenstein door is adorable!!!! I love it! We've had our Halloween party early this year and it was really good. And by the looks of things yours is going to be amazing too. omgosh!! SO SO COOL! I love the decorations! so creative. where did you get that ghost plushable? i love that and i bet my 1 yr old will too. Anyway, thank you for visiting my blog and i am following back. pls do keep in touch! love your blog. Thank you very much! The Ghost came from our local craft store many years ago but it is a "TY Baby" brand so you might be able to find it somewhere online or eBay. My daughter loves it! Lovely blog, great photos and I enjoyed your latest two posts! I'm now following back with GFC and Twitter. Thank you for stopping by and following. I am also your newest follower and cannot wait to try some of your recipes. The bread pudding you made looks amazing! Halloween at your place looks so fun!! the door is just great!! fun! I a your newest follower..pls follow back if you can. Thank you very much! I went and followed you as well! I love the Frankenstein door. It is a really cute idea and not too scary for little kids. I just got my son to do a could pipe cleaners spiders to stick around a Halloween poster outside. Thank you very much! That is my favorite part about the door is that it isn't scary its more fun and silly :) My daughter loves it! Thanks for following ModaMama! It's a pleasure to meet you. Thank you for coming over to visit and follow! I am following from the blog hop! Thank you for coming by and following! Nice to have you here! Hi! New follower here! Thanks for following me! I love all your decorations! 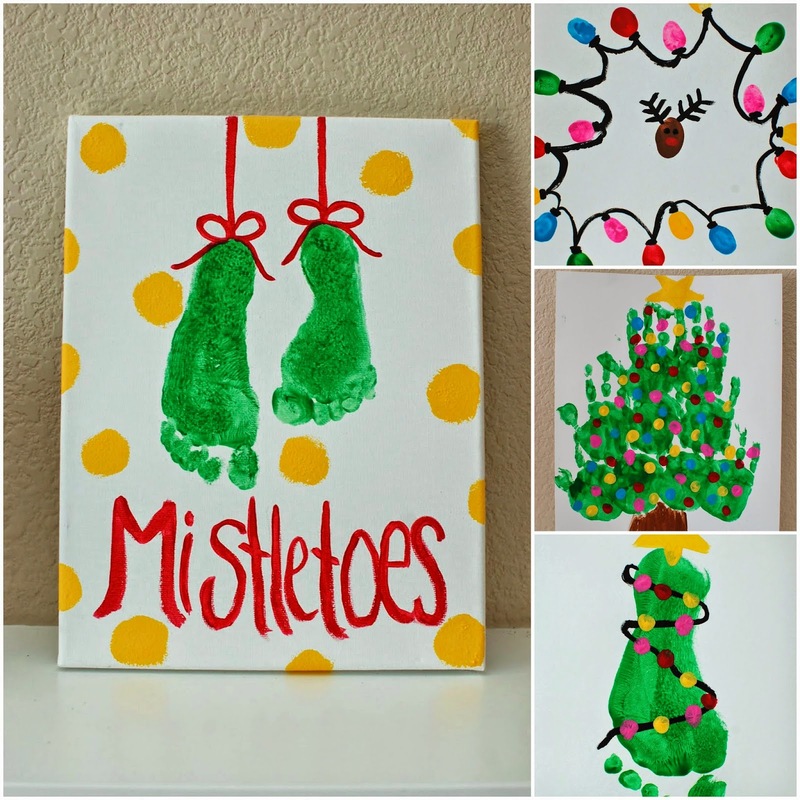 I am going to have to try to make some cute handprint/footprint pics with my son. Those are super cute! Thank you very much! Thank you for visiting and following. The kids' art was a lot of fun to make and its nice decor to have around the house. Have fun with it! Great decorations! I'm following you from the Thursday hopping blog hop. Thanks for following! I am your newest follower now! Thank you for returning the favor and coming by! Your door looks amazing and I echo what Sabz said - Thank you for stopping by Think Outside The Blog! I like the artwork. I never would of thought of using hands and feet like that lol! I don't decorate my house cause I'm lazy but if I did, I'd totally try that haha! Haha Thats funny.. But thank you! WE really began doing it for my daughter we never used to do much at all! that door is just awesome! Hey I'm a new follower :-) cool blog, I'm looking forward to your posts. Thank you! I am a follower of yours too! Thanks for stopping by! Very nice...I love the door. It looks like you had a lot of fun decorating! Thank you for coming to visit and following! Thank you! And thank you for coming by to visit! Hi Nichole, I’m Anne from Life on the Funny Farm (http://annesfunnyfarm.blogspot.com), and I’m visiting from the Pinteresting Party. These are great! I think my favorite is the handprint spiders. Thank you for coming over for a visit and I am your newest follower now on your blog! Nicole, I am LOVING your blog! You have such cute ideas and I need to get back to reading more! Thanks for stopping by and following at Life with the Larsons. I'm sure glad to have you! I look forward to following you and learning more about you and your cute family! Thanks so much Jessie!! That is really sweet of you! Just stopped by to let you know that I featured your Halloween pumpkin costume on my round tuit post this week! Thanks again for linking up! Hope you have a great week! I'm here from the NO Rules blog hop and I'm your 100th follower (yay!). YAY 100 FOLLOWER!!! Thank you for the heads up and thank you for visiting and following! I adore the handprint spiders! My kids made the footprint ghosts this year, but maybe next year we'll do the spiders! I hadn't seen that done before. I also think your monster door is cute. Thanks for sharing! Thank you very much! We kinda did one of the spiders wrong and didn't realize it until it was done but it was still cute. 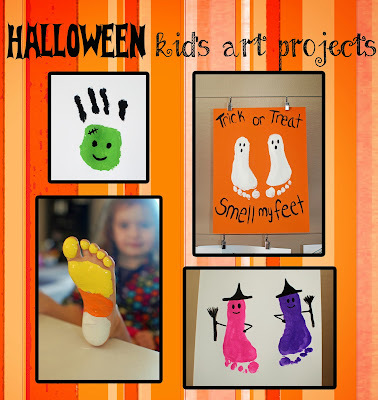 Lovely Halloween projects :) Thanks for stopping by. Following back now! You have adorable decorations. I love the glitter too, I think its so fun and festive! Thank you and thank you for coming by to visit. I am your newest follower now and I love your blog! I love all the clothes/fashion ideas you have and your son is adorable!! Ooh, that mantel looks great! I especially love the flowers. :-) Thanks for sharing at The Fun In Functional! Thanks for linking this to a Round Tuit too! Thank you for hosting and for stopping by! I love all of your Halloween decor, especially the door! Too cute! I need to do something like that next year. Pinning this and I'm featuring this on my blog tonight! Thank you very much and thank you for the feature! Thanks for joining us for last week’s “Think Tank”. If you haven’t already linked up, we’d love to see you again today! Hey Nichole! I love the Frankenstein door! Thanks so much for linking up last week at the Humble Brag! Hope to see you back tomorrow to link up more great projects and see if you were featured and/or won the free ad space. Thank you very much! Thank you for hosting! Will be back tomorrow. So cute! The glitter pumpkins are my favorite! Thanks for sharing! Thank you! Some of my fav too! Wow. So many beautiful docors. I love them. It must be a great Halloween.